NASHVILLE, TN —Nashville, TN—In the world of hip-hop music the name Quanie Cash is known for his music as a rapper/producer and indie film maker. 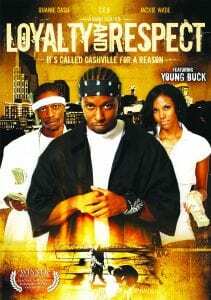 He earned the title of becoming Nashville’s top-selling independent rap artist, from songs such as ‘Loyalty & Respect,’ and ‘I’m Bad feat Young Buck.’ He later starred in his own hit indie film “Loyalty & Respect” which went on to earn Quanie an award for Best Director at the New York Independent Film Festival. But after years of racking up success in the hip-hop world, Cash took a break, returned to school, earning his bachelor’s degree from Tennessee State and master’s degree from Trevecca Nazarene University. 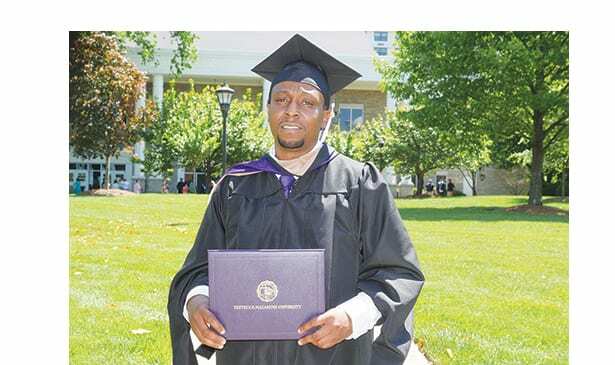 I’m the first male in my family to have a college degree,” says Cash, who grew up in the projects of East Nashville’s rough and tumble area formerly known as ‘The Bottom.’ “I didn’t step outside of the projects and see a guy walking with a backpack going to college. He may have been around but I don’t remember him where I lived,” recalls Quanie. It’s a non-profit organization committed to helping ‘build up’ the community through support of at-risk youth through mentorship, education, and youth sports in the Middle Tennessee area. One of BUF’s most popular programs is the tutoring they offer students for taking the ACT Test. “We’re offering free ACT Prep services for any kid in Nashville to help them get their ACT scores up. Having low scores is a big problem in the inner city, so we’re trying to help solve this situation,” says Cash. BUF teamed up with Kevin Reid of South Inglewood Center for a community Thanksgiving event. The two organizations will team up again on December 12th for a Christmas event that will include local barbers that will offer children 100 haircuts for the holiday season. TRIBUNE: What is the BUF program all about? QUANIE: The program is called The Build Up Foundation, the acronym is B.U.F. It’s about making the community stronger by helping kids to get prepared with a strong foundation in education. We launched the program in August of this year.? TRIBUNE: And so, how does the B.U.F. program work? QUANIE: “It’s a non-profit foundation program that provides mentorship, educational, and youth sports activities all in one by way of tutoring. A lot of kids are attracted to sports, so we added the sports aspect of it as well, just to kind of get some trainers to teach them how to train physically for different sports, it doesn’t matter what the sport is. Some of the trainers also act as mentors as well, just like in the tutoring aspect, I’ve got several educators, some professors, teachers that teach in Metro, along with area sports coaches and other professors, who are partnering with me as part of the Build Up Foundation. We’re trying to give these students real expertise when it comes to tutoring and mentoring. TRIBUNE: How many students are in BUF? QUANIE: Right now, we have about a hundred students. We have about 50 kids that’s a part of our ACT Prep program. They range from seventh to twelfth grade, and then we have about another 50 kids that signed up for the sixth grade and under mentorship and tutoring programs. We’re offering free ACT Prep services for any kid in Nashville to try to get their ACT scores up, and it’s all free. Those low scores are a big problem in the inner city with kids not being college ready. Getting higher ACT test scores helps the kids get better qualified for scholarships. TRIBUNE: How can parents get their kids involved with the BUF activities and the ACT Test preparation program? QUANIE: They can go to my website, www.thebuildupfoundation.org. Parents can sign up throughout the year. The ACT Prep is done in five-week sessions. We’ll have another session that will open up in January 2018. TRIBUNE: Do you still have time to do music? QUANIE: I still do the music but I’m using it more as a tool now. I’ll never stop making music, that’s my passion but I feel like it also helps me guide younger generations that want to be rappers, or want to get into music. But my real passion at this moment is about my community and helping them. If I still do concerts and shows that’s fine. I really believe that my path to success in music was all done for this reason right here. I think God built me up on whatever platform I’m on, to use it for the greater good. And that is for trying to change my community. Everybody wants to rap, but not everybody doesn’t want to save people.